Celebrated every April 22nd, Earth Day is the largest, most celebrated environmental event worldwide. The concept of an Earth Day started in 1969 at a UNESCO Conference in San Francisco, California. Peace activist John McConnell proposed a day to honour the Earth and the concept of peace. The day was first celebrated on March 21, 1970, the first day of spring in the northern hemisphere. This day of nature's equipoise was later sanctioned in a Proclamation written by McConnell and signed by Secretary General U Thant at the United Nations. A month later, a separate Earth Day was founded by United States Senator Gaylord Nelson as an environmental awareness event and teach-in first held in the United States on April 22, 1970. Nelson was later awarded the Presidential Medal of Freedom Award in recognition of his work. The first Canadian Earth Day was held on Thursday, September 11, 1980, and was organized by Paul D. Tinari, then a graduate student in Engineering Physics/Solar Engineering at Queen's University. Flora MacDonald, then MP for Kingston and the Islands and Canadian Secretary of State for External Affairs, officially opened Earth Day Week on September 6, 1980 with a ceremonial tree planting and encouraged MPs, MPPs and MLAs across the country to declare a cross-Canada annual Earth Day. The principal activities taking place on the first Earth Day included educational lectures given by experts in various environmental fields, garbage and litter pick-up by students along city roads and highways as well as tree plantings to replace the trees killed by Dutch Elm Disease. While Earth Day observation on April 22 was held largely in the United States, an organization launched by Denis Hayes, who was the original national coordinator in 1970, took it international in 1990 and organized events in 141 nations, including Canada. Earth Day Canada (EDC) was founded in 1990 as a national environmental charity. 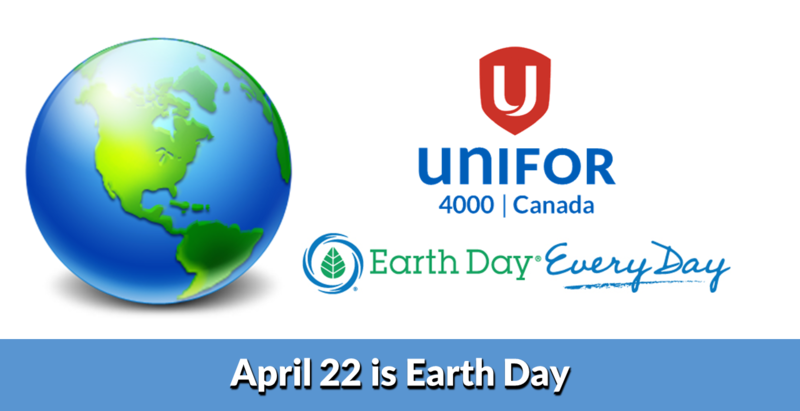 Although a small group of Canadians formed Earth Day events on April 22 in 1989, it was in 1990, following the formation of the FDC, where inaugural nationwide events were held across Canada where over two million Canadians participated. Healthier choices regarding household cleaning products, transportation, energy use and lawn care are just some of the ways we all can make a difference in improving our environment. We posted the video below on our Home Page, Real Time with Bill Maher and the "New Rules" segment that features the importance of Earth Day and protecting the planet that we actually live on! In this New Rules segment, Bill tells U.S. President Donald Trump To Forget Mars: “Make Earth Great Again”! instead of trying to colonize Mars. (language warning) ​“Make Earth Great Again”!